Configure XenDesktop and XenApp Service with Microsoft Azure and Citrix Cloud. This article follows the one published about Getting started in Microsoft Azure and the one about Getting started in Citrix Cloud. Here, we will discuss how to configure XenApp and XenDesktop Service with Microsoft Azure and Citrix Cloud. What is XenDesktop and XenDesktop Service in Citrix Cloud? When moving your Citrix workloads to the Cloud, you have 2 options. The first is to setup your full Citrix infrastructure in Microsoft Azure (or else) and configure your XenDesktop controllers as usual. But what if you could skip this part? Well, the good news is that is it possible with Citrix Cloud. 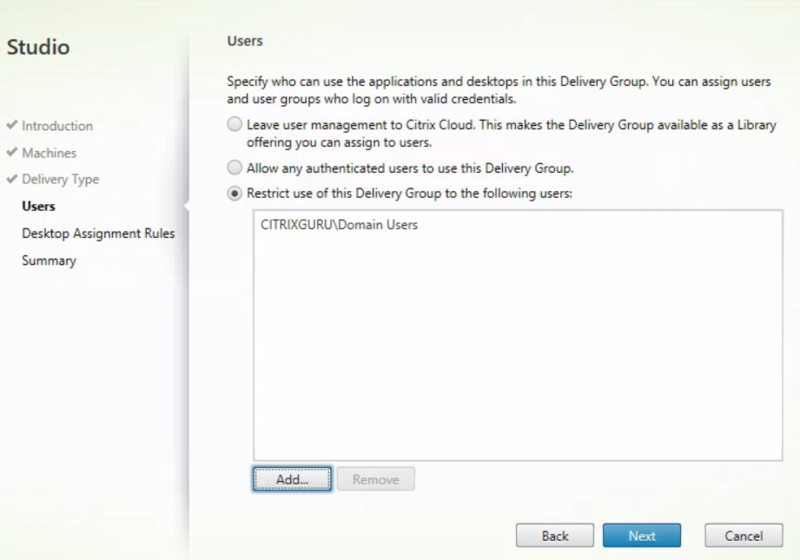 The second option is to leverage XenApp and XenDesktop Service from Citrix Cloud. In that case, Citrix manages the core components in Citrix Cloud including Studio, Controllers, Director, Licensing and even SQL for you. 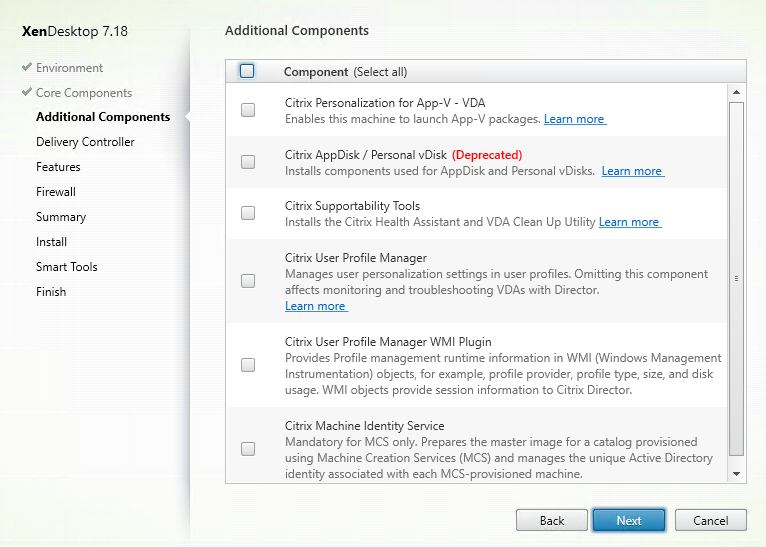 Citrix also takes care of installing and upgrading those components. You connect to the XenApp and XenDesktop Service through Cloud Connector, which serves as a channel for communication between Citrix Cloud and your resource locations. Note: you are still responsible for the upgrade of the VDA software installed on your virtual machines and the Cloud Connector software located in your Microsoft Azure environment. We need a Windows client to connect to with XenDesktop Service. Make sure to select the virtual network that we created in Lab: Part 27 – Getting started with Microsoft Azure and select GC-SN-WRK subnet. This subnet is reserved to Windows clients. Once the virtual machine is ready, connect to it and add it to the citrixguru.com domain. To be able to communicate with Citrix Cloud, we need to install Citrix Virtual Desktop on the machine. Go back to Citrix Cloud and go to the Downloads tab. Select Download Virtual Delivery agent (VDA). You will be redirected to Citrix Downloads. Select Desktop OS VDA 7.18. Do it from the Windows 10 VM or transfer the executable on it. Then launch it. The process to install the VDA is the same as on regular on-premises VM. Here is a quick recap. Once installed, reboot the VM and check the logs to make sure that the registration is working as expected. Note: for the step above, you need to have configure XenApp and XenDesktop Service. Check below how to do. Everything is as expected here and the Windows 10 client is registered to Citrix Cloud. Click on Request Trial in the Citrix Cloud console. The process should be easier but anyway. Complete the form and submit your request. Once approved, you will get an email. You are now able to manage XenApp and XenDesktop Service in Citrix Cloud. Select Manage to get started. You will be redirected to https://xenapp.cloud.com. Select Manage Service. You will get access to a cloud instance of XenDesktop to manage your infrastructure. The console is very similar to the console on-premises. Note: the name of the farm is cloudxdsite. As stated on the console, the first step is to configure the connectivity to Microsoft Azure. Select 1 – Connect to resources that will host the machines. Copy your Azure subscription ID. You can find it here. Also type a connection name with no space. You will be prompted to logon to Azure. The connection will be validated. The next step is to create a new machine catalog. We installed the VDA previsouly. So the virtual machine so be registered. The next step is to create a delivery group. Select the WIN10-VM catalog previously created. We are setting up a Windows 10 desktop group, so select Desktops. Restrict to Domain Users. In your production environment, you may want to make it more secure. Pick a name for the Delivery Group. The Delivery Group is created. Once the group is created right, right click and Edit Delivery Group. Then go to Machine allocation and assign your user to the virtual machine. That’s all for the configuration in Studio. In the next articles, we will review how to configure Citrix Identity and Access Management and how to use NetScaler Gateway Service in Citrix Cloud to allow your users to connect to virtual machine hosted in Microsoft Azure.